We just took the kids to their first professional baseball game last night. The Tigers played the Oakland A’s. I’d gone to an A’s game when we lived in California. I’ve seen a Cubs game, too, but that’s the extent of my professional baseball adventures. The Tigers may have lost the game, but the stadium steals the show. I was incredibly impressed with Comerica Park. I actually felt like I was in Disney World, what with the sculptures of players past, the ENORMOUS tigers on the Entry Arc, the huge tiger sconces with light-up baseballs in their mouths lining the stadium walls, the perfectly manicured baseball diamond, the carousel with all tigers, the loyal ruffian fans, the fireworks that literally shook the stadium. It was a spectacle! 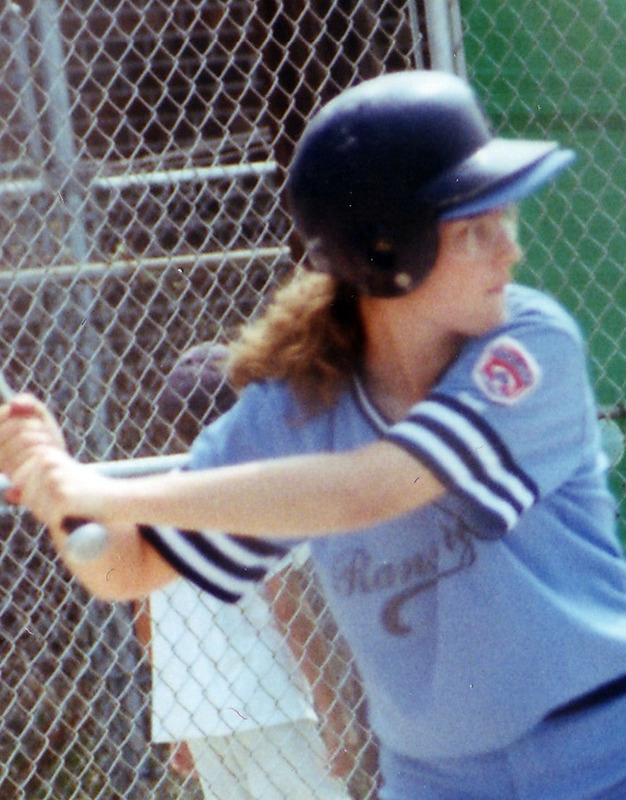 So, in honor of that grand adventure, I give you one of my only all-star games in little league. I was generally in right field, if not benched. I barely ever got any at-bats, so this was a rare and terrifying moment. Check out my focus. Especially through the rec specs — hand me down rec specs, naturally. And like any Eighties girl, I’ve pulled my perm through the back of my ball cap. There may not be any crying in baseball, but there’s still style! P.S. It’s likely I struck out. But, I got in the game, yo! I’m always looking to share the hilarity, so If you’re a YA Author and would like to do a guest post on Self-Deprecating Sunday, please contact me jody.mugele(at)gmail.com. It’s more fun than Church.